How do you succeed as an entrepreneur if your number one focus isn't your bottom line? Where do you find help to start a business that wants to use its profits to decrease homelessness or keep kids in school? While the entrepreneurial ecosystem in Grand Rapids continues to thrive, social entrepreneurs are still struggling to find their place, and the resources that will help them thrive, within that same ecosystem. Malamiah Juice Bar doesn't just sell juice at the Downtown Market. They also employ teenagers with no prior work experience. PhotoUp doesn't just provide photo editing for real estate agents. They also help those in the Philippines find work. Hope Farms grows produce and helps refugees find a way to feed their families using skills they already have. There is no shortage of social enterprises popping up across Grand Rapids. This is just a small sample of the businesses that, according to Kevin McCurren of the Seidman College of Business at Grand Valley State University, "want to do good while doing well." 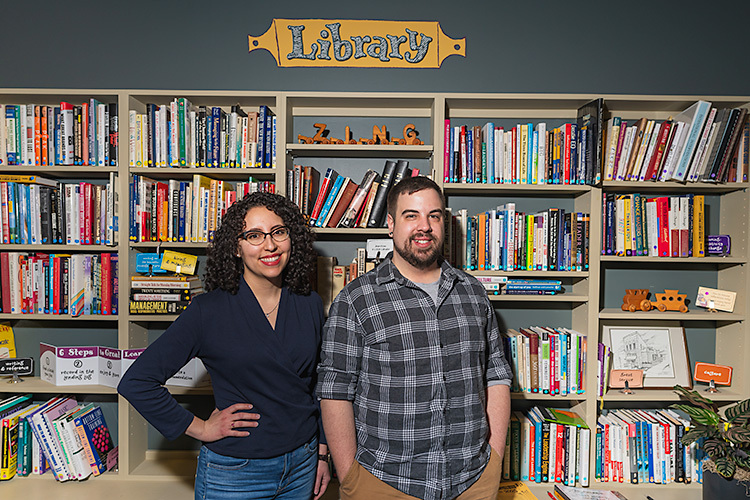 But, as the community of social entrepreneurs in Grand Rapids grows, there is a shortage of the resources that will help this growing population. With such a strong focus on doing good rather than making money, how can those who want to make a difference find their way in the entrepreneurial ecosystem of Grand Rapids while still creating positive social change? Social entrepreneurs can come in the form of non-profits; others are considered "B Corps," companies focused on environmental and social change in addition to monetary profits [think places like Brewery Vivant, 616 Lofts, Cascade Engineering, among others]. These change-makers are, essentially, focusing on finding solutions to a variety of societal problems, from poverty and unemployment to hunger and incarceration, through the private sector. Among these social entrepreneurs, there are people like Chris Sain Jr., who do a little bit of everything. Sain, author, social entrepreneur and founder of Grand C.I.T.Y. Sports, had plenty of support as a star football player in high school and a walk-on at Michigan State University. 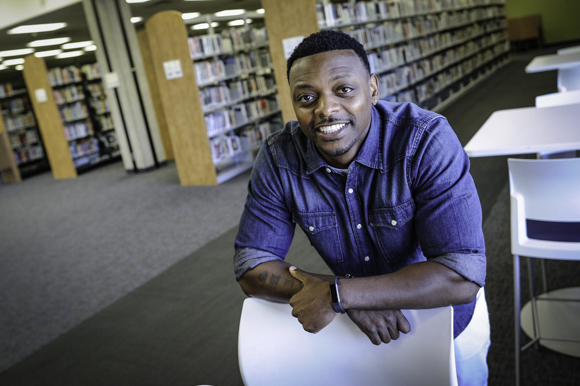 But when that career ended and he turned to a new calling as a mentor, educator and social entrepreneur striving to reach kids in impoverished neighborhoods, he quickly learned he didn't have nearly the same resources or support. While Sain had football to keep him off the streets as he grew up on Grand Rapids' southeast side, he stresses other young African American men are not so lucky. "We're told we will be dead or in jail by the time we're 25," says Sain. But Sain went on to get his Master's by the time he was 24 and now uses his experiences, his book, and sports to build four pillars of social change and instill them in young kids. He focuses on education/attendance, illiteracy, unhealthy relationships, and prison. Sain found a way to move forward, despite having a hard time finding resources, by getting creative and using social media as an important asset, but he met his biggest challenges when he began looking for a network of support and funding, especially as a new presence. "You can't get a grant if you haven't displayed the ability to manage that grant," he says. "It’s not that the work you're doing isn’t worthy, but they want proof you've handled those kinds of resources before." Anissa Eddie, co-founder of Malamiah Juice Bar, also met some resistance in funding her venture. "We were coming onto the scene with no experience," she says. "I would have seen us as a risk too." Luckily, she adds, Eddie and her husband had a contact that was able to vouch for them and help them secure a loan from a bank. But, she says, "not everyone has that or knows where to start looking. Many, especially social entrepreneurs of color, don't have connections or family with wealth to turn to and that definitely creates barriers." 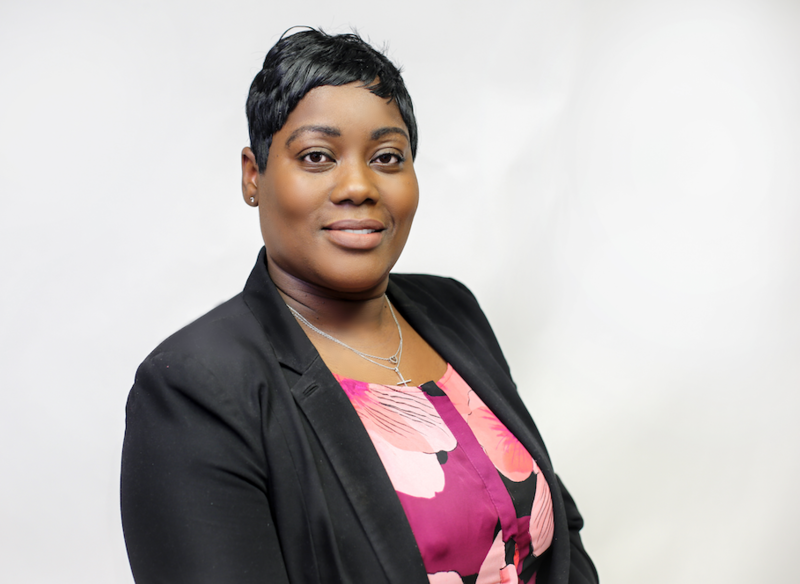 Much of the challenge surrounding funding social enterprises, or businesses with a social component -- like Malamiah, comes from the fact that, for many, their results are difficult to measure. 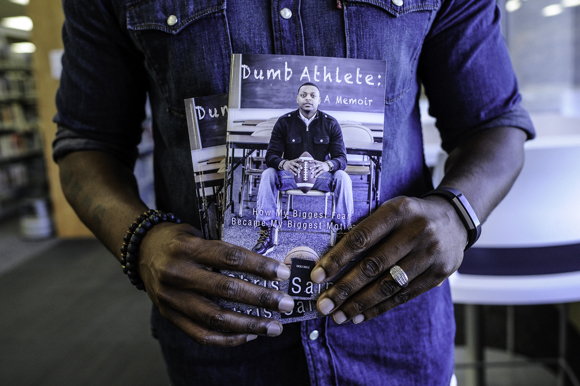 Through Sain's efforts, his book, speaking engagements and his work trying to keep kids in school by reaching them through sports, he hopes to change their minds, attitudes, and offer hope. But how do you measure that? "It's hard to track the impact a book has had on a kid or see that students now have the desire to read," says Sain. But, through the efforts and attention of Sain and his volunteers, "they improve in school; they are hopeful; they believe they can do things. But, the person sitting across the table from you, deciding whether or not to fund you, can't see that." In the 10 years Sain has been spreading his message, the only outside help they have received is a partnership with Blue Cross Blue Shield. "We do awesome work," he says. "But because we aren't one of the prevalent last names in the community or a well-known entity, there's a lot of red tape around getting a grant (or funding)." Similarly, while Eddie understands that new-to-the-scene social enterprises might not be that appealing to investors, she also sees the need for more assistance than is currently offered. 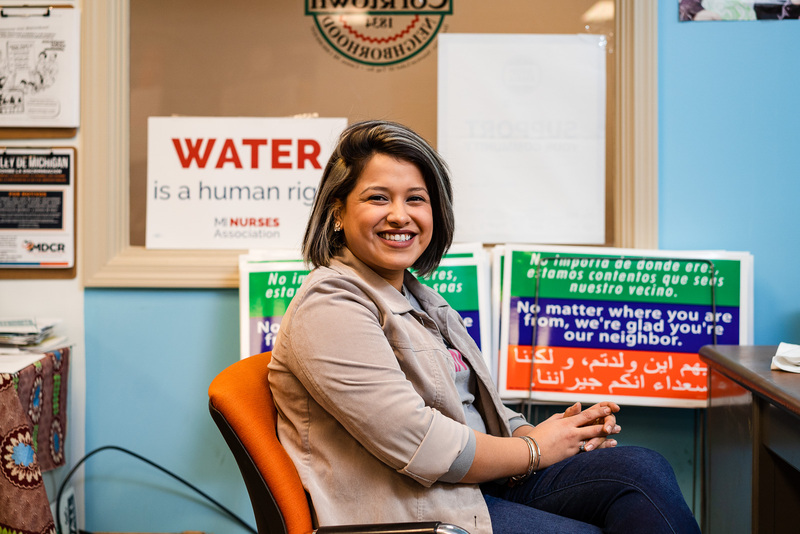 "When you have people that have done their homework, done their research and want to serve their community, I would love to see more of a welcoming on ramp,” she says. Austin Dean, a social entrepreneur and Operations Director at Start Garden, points out that while West Michigan, with its strong history of entrepreneurship and philanthropy, is primed for a vibrant social entrepreneurial ecosystem, there aren't any organizations fluently speaking that language, yet. So, Dean recommends that social entrepreneurs start their business with a sustainable financial model. Malamiah Juice Bar sells a product and uses those sales to employ youth with no prior work experience. PhotoUp sells photo editing services to real estate agents while at the same allowing youth in the Philippines to work full-time while staying in their country and supporting their families. And Dean, the founder of Collective Metrics, offers a paid service that tracks the impact nonprofit and public programs are having on their communities. "Our whole focus is on communities," says Dean. But, by offering a paid service that tracks the quality of public programming, cooperation between organizations, and trust between various institutions, the business can support itself. Social entrepreneurs can also turn to Local First for networking opportunities, mentors and various educational programs. Their Measure What Matters program addresses the need for tracking the results that investors often want to see using a free impact assessment. Elissa S. Hillary, Executive Director at Local First, also recommends thinking traditionally to get started. "We help connect businesses to other entrepreneurs, but they still need a business plan...so they could start by gaining assistance from other organizations (you can find some of those organizations in the previous article in this series) that help traditional businesses and then move to an organization like Local First to be paired with a mentor." While Grand Rapids has always been a highly philanthropic community, Hilary says that, "as a society we have separated business and philanthropy; we think about profit on one side and giving away that income as a way of doing good on the other.” But, she adds, "social entrepreneurship bridges that divide and challenges us to think about ways to make profit while doing good." The aforementioned businesses, and the many other businesses that are a part of Local First, are trying to address that gap. But, much of the community has not caught up. 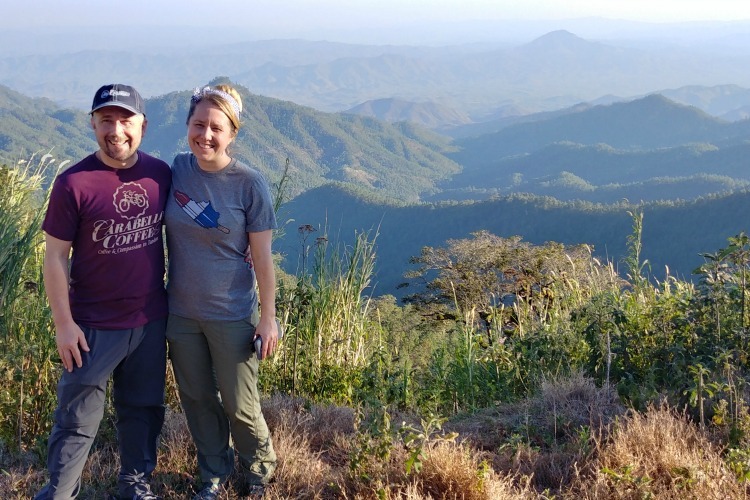 "There are a lot of business people in town with social capital that can lead these conversations and help direct corporations and drive investments into these social ventures," says Dean. "The conversation is starting, but the businesses need to help move it forward." 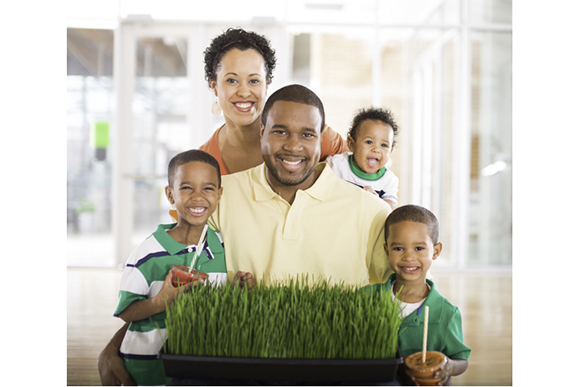 They can, he notes, do that by reaching out to traditional resources like the Small Business Development Center, Start Garden and Grand Rapids Area Black Businesses. Local First is also working to change the conversation by partnering with the Dorothy A. Johnson Center for Philanthropy and others to host a series of conversations about how the community can invest in social entrepreneurship, and by welcoming entrepreneurs to have honest conversations. Many of these conversations focus on the idea of impact investing. Impact investing, Hillary says, "comes from someone who is making a financial investment and expecting not just money, but a social or environmental rate of return." McCurren of GVSU also urges enterprises, in order to make themselves more appealing to impact investors, to spend some time thinking about who would be interested in funding what they are doing. "A customer might buy a product or service, but there might be third party also interested in donating to the same cause as you." McCurren adds that those interested in offering an impact investment will, often, "take less return if they believe in what they are doing." As the entrepreneurial landscape in Grand Rapids starts to shift, those who are trying to make a difference know what would help them be more successful. Sain would like to see investors be more intentional about seeking out entities to fund. "Rarely do those organizations look past who they are consistently giving money too. Very seldom do they reach out and ask who they can help that they don't know about." A change in thinking is even more important given that the next generation of entrepreneurs seem to be leaning toward social change. In his work with Innovation Central High, partnerships with Start Garden, the Smart Zone and many other social entrepreneurs working within the school district, John Helmholdt, Executive Director of Communications and External Affairs at Grand Rapids Public Schools, sees a growing trend in young people addressing social issues. "Many students want to get in the nonprofit sector," he says. "They have ideas and a passion for providing human services and serving families in need." But, despite the areas that are lacking right now, Chris Palmer, President and Managing Partner of PhotoUp, thinks the potential is here for Grand Rapids to embrace social entrepreneurs. "It wouldn't take much," he says. "Why can't Grand Rapids compete with the Austins, the Portlands and the Boulders? We just need to find the right balance between philanthropy and funding." “Making It In Grand Rapids” is a series about local entrepreneurs and the issues that matter in building a sustainable startup-friendly community. Support for this series is provided by Start Garden. You can reach the author of this story on Twitter or e-mail her at alspooner@gmail.com for story tips and feedback.